James Bond continues on his fourth mission, with his aim to recover two stolen warheads. They have been taken by the evil SPECTRE organisation. The world is held hostage and Bond heads to Nassau. Here, he meets the beautiful Domino and is forced into a thrilling confrontation with SPECTRE agent Emilio Largo, on board his boat, the Disco Volante. Will 007 prevent the killing of millions of innocent victims? 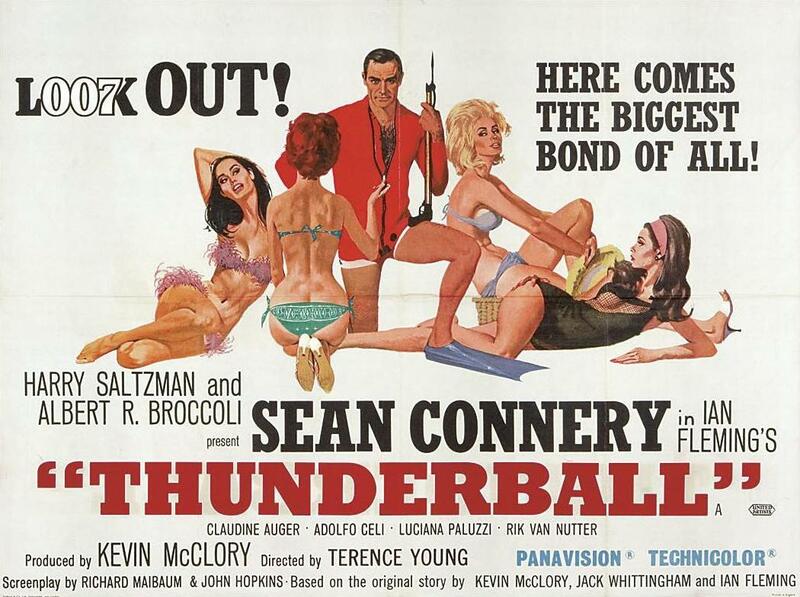 It is a well known fact in Bond-lore that Tom Jones passed out whilst recording the final note in his opening theme "Thunderball"
Written by Richard Maibaum (screenplay), John Hopkins (screenplay), Ian Fleming (novel), Kevin McClory (original story), Jack Whittingham (original story). Film Editing by Ernest Hosler. 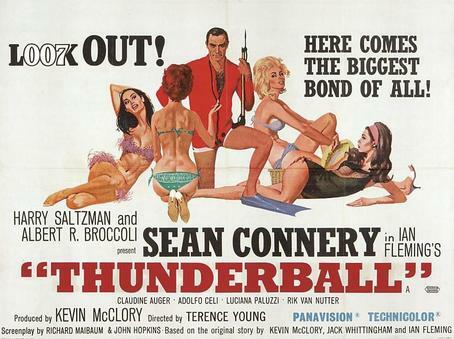 Title Song by Tom Jones "Thunderball"
"You wish to put the evil eye on me?"